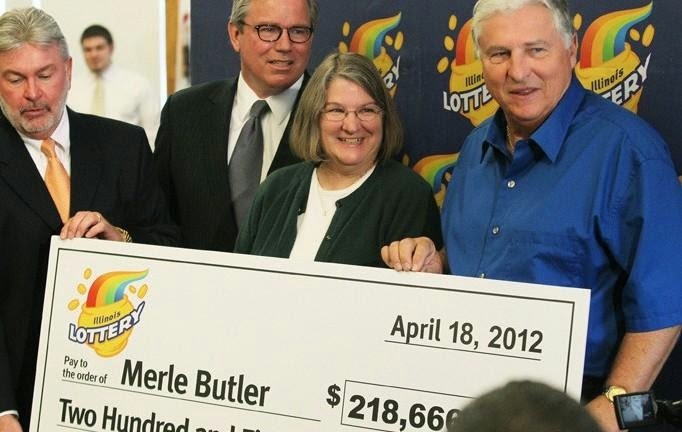 Sorry to burst your bubble -- the Illinois man who claimed a $218.6 million lottery jackpot in 2012 tells TMZ, he is NOT giving away his fortune to Internet strangers and the Instagram account claiming otherwise is FAKE. 67-year-old Merle Butler tells us, he doesn't even have an Instagram account. He also says it's not the first time someone on the Internet has impersonated him to scam others out of money. The fake Instagram account went viral over the weekend, promising to mail out $1,000 checks to the first 50 followers. It currently has 112,000. A related account (claiming to be Merle's accountant) is now asking followers to donate $.99 for postage, in case you were born yesterday. Merle tells us, he will be contacting his attorney as well as the FBI to handle the situation.